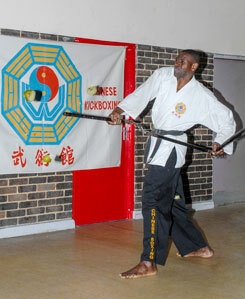 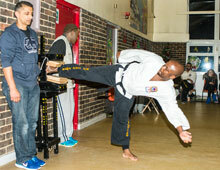 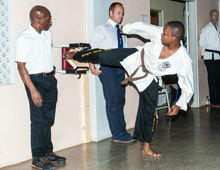 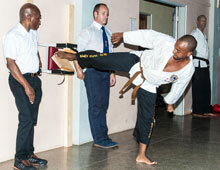 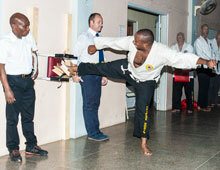 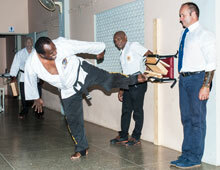 Tyrone Tairu pulverising an apple with a 3-section staff with expert timing and accuracy. 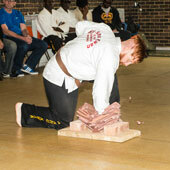 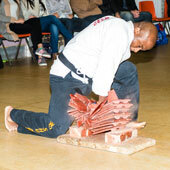 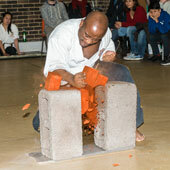 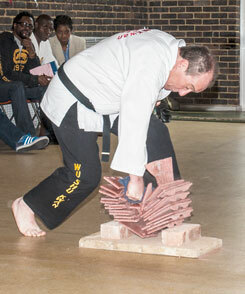 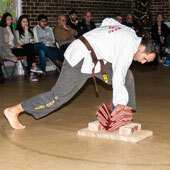 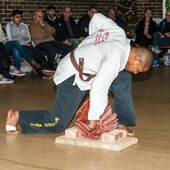 Paul Holmes smashing a stack of 12 roofing tiles with his bare fist. 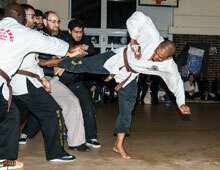 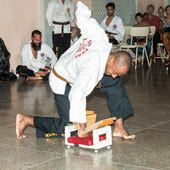 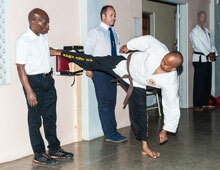 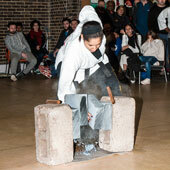 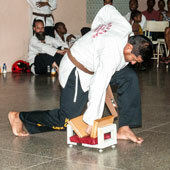 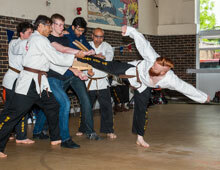 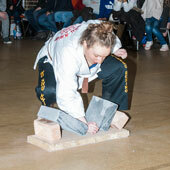 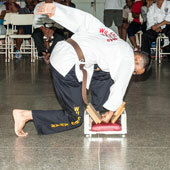 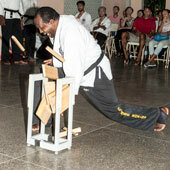 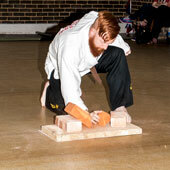 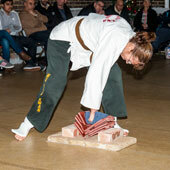 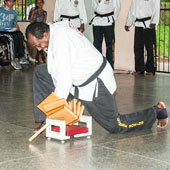 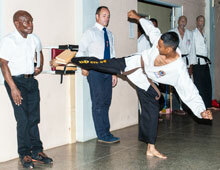 Chris Dodds breaking 2 wooden boards with a side kick. 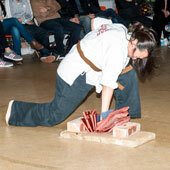 ↓ Please scroll down for details. 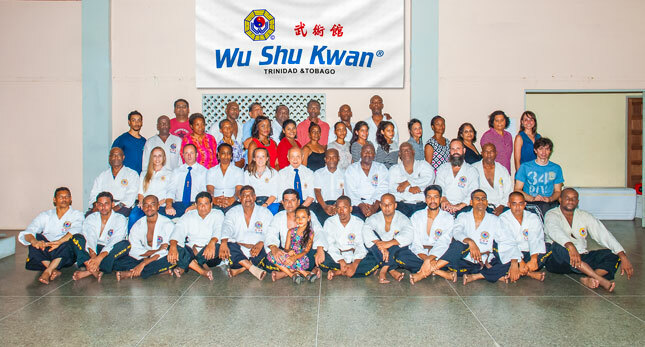 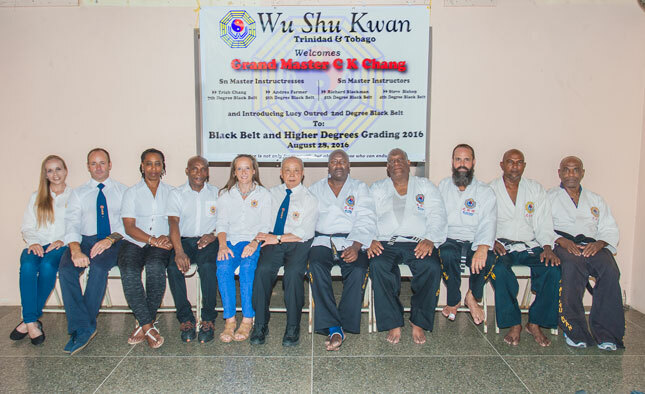 Taken in front of the welcome banner, panel of WSK examiners & officials representing England, Trinidad, Barbados & Jamaica: (from left) Lucy, Steve & Andrea (England); Richard (Barbados); Trish (Deputy Chief); Grand Master (Chief); Ronald, James, Bernard & Robin (Trinidad); & Rory (Jamaica). 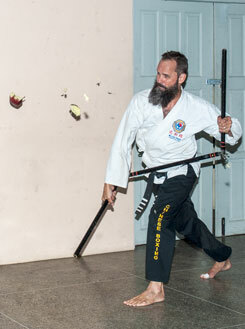 Bernard Quesnel pulverising an apple in the air with a 3-section staff. 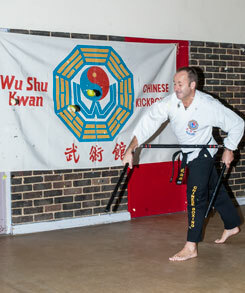 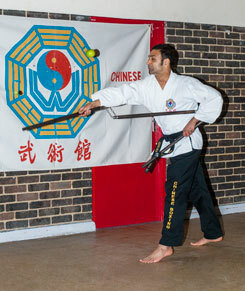 Smashing an apple in the air with a 3-section staff is a Wu Shu Kwan specialty that requires great skill, extremely accuracy and tremendous speed. 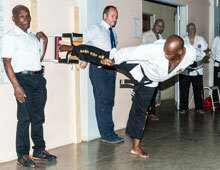 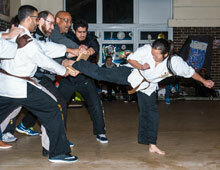 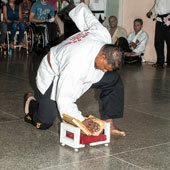 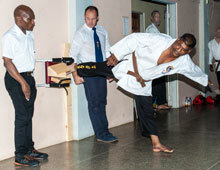 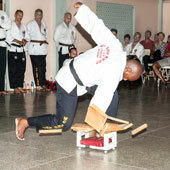 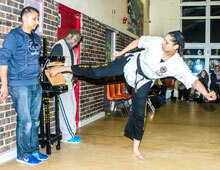 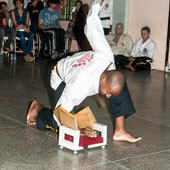 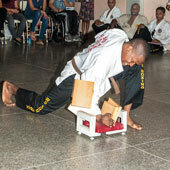 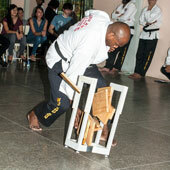 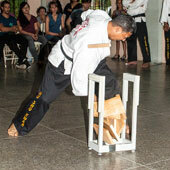 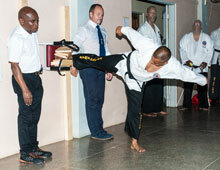 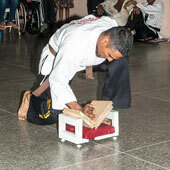 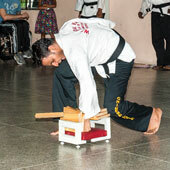 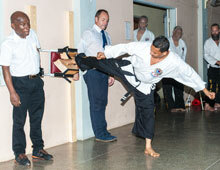 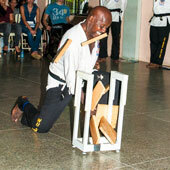 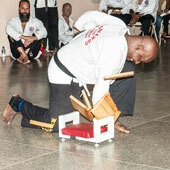 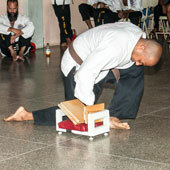 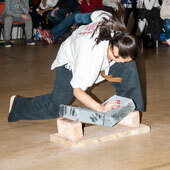 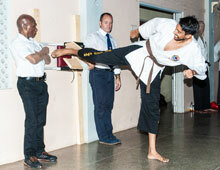 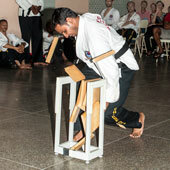 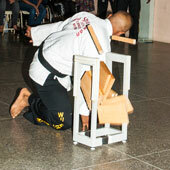 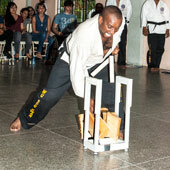 ↑ Thaireno Human: Delivering a devastating side kick to break 4 pieces of wood.